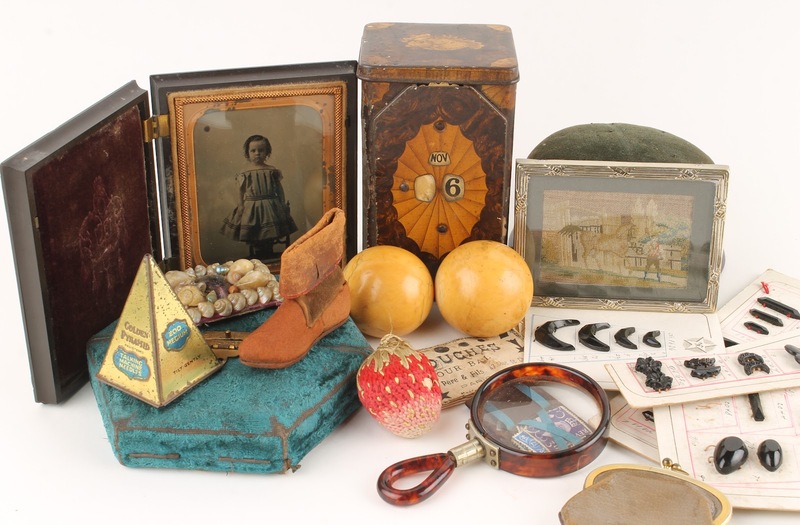 Just thought I would share a few more of the lots which will be sold in Bristol on Tuesday 6th November. 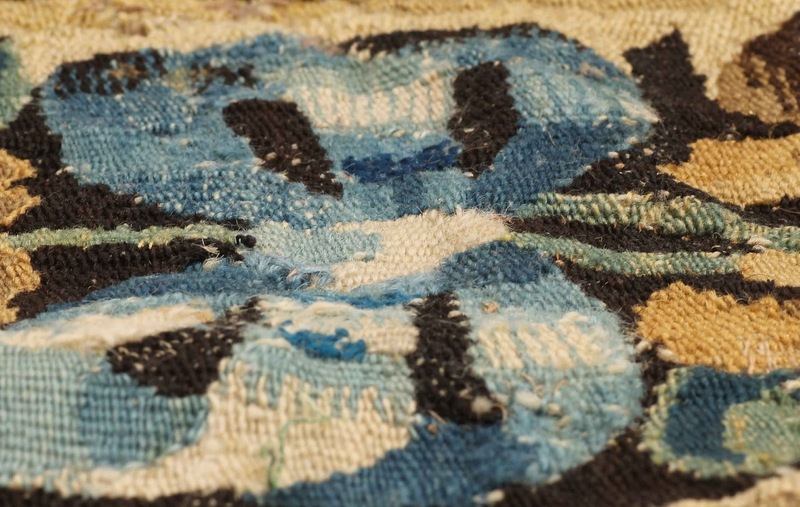 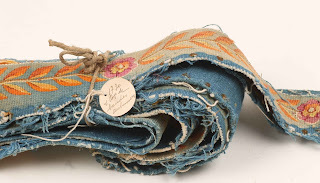 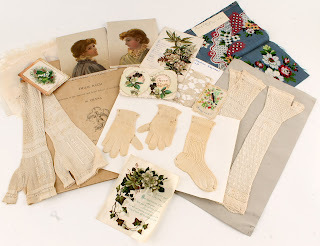 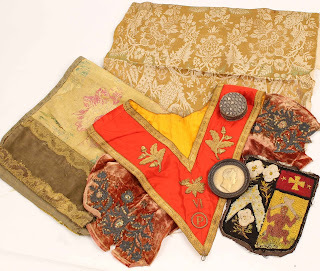 Some of the trimmings and textiles have a special provenance, having come from Mary Bellis who was one of the most respected Antique Dealers in England from the 1950s to the 1980s. These beautiful items have been stored away for many years, but it is now time for somebody else to own and love them. As you may imagine, I have been in "Textile Heaven" sorting these into lots for the sale. Click here to view the Textiles section of the catalogue. A Family Collection goes to Auction. As promised, more from the forthcoming sale at Dreweatts and Bloomsbury Auction House in Bristol which is taking place on Tuesday 6th of November. 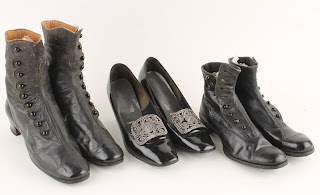 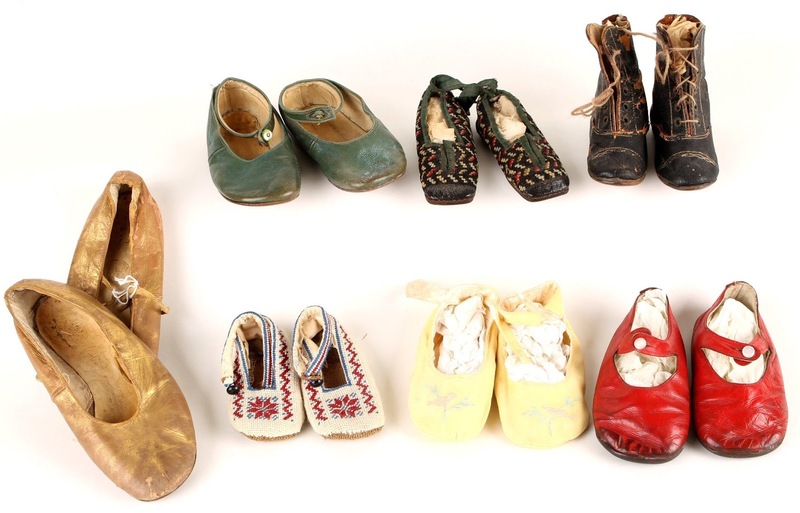 These are some of the carefully preserved items of clothing collected by a family in Kent. 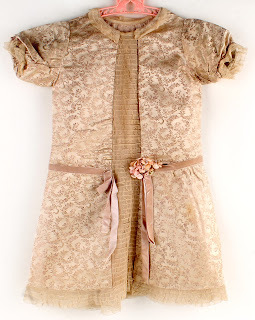 Children's dresses and shoes as well as wedding outfits and costumes have been lovingly kept for many years. 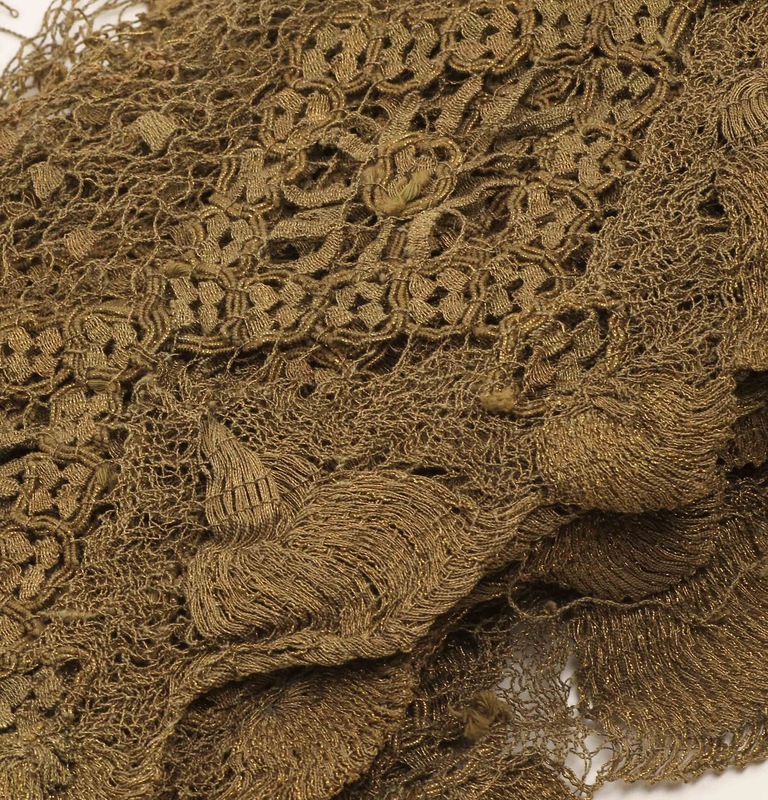 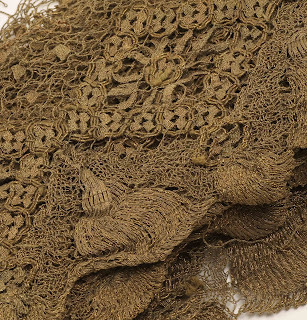 This unusual slice of Textile History is apparently a Victorian Coffin cover! 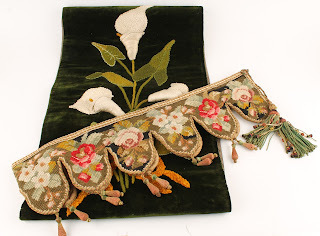 Heavy dark green velvet embellished and embroidered with a raised design of white lilies to symbolise virtue and restored innocence after death. It comes with a colourful tapestry hanging for a shelf or the mantle piece. 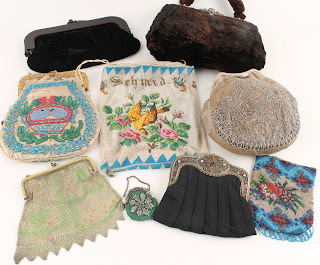 Beaded evening bags from the 19th and 20th Centuries....as well as tiny green purse with cut steel details. 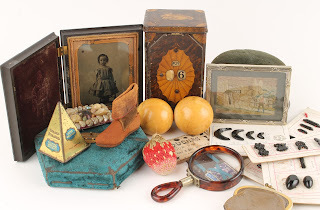 Eclectic collections of small tins, buttons, pin cushions and a miniature leather boot should appeal to collectors of small items... 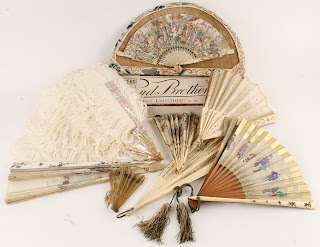 These are the things which make auctions exciting! 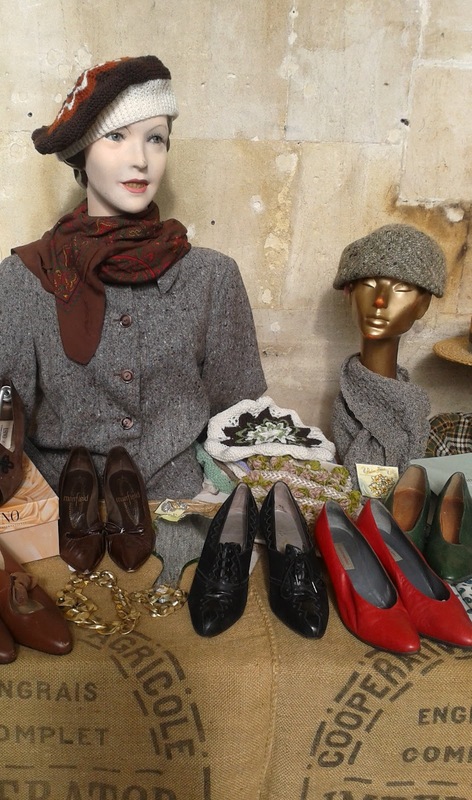 As well as Costume and textiles there will be other Private Collections of Ceramics and Toys. 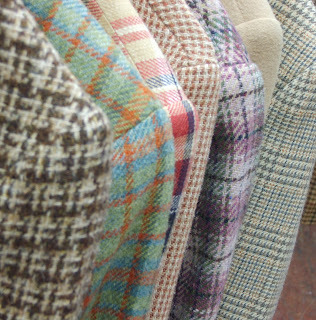 The catalogue is now available on-line here. 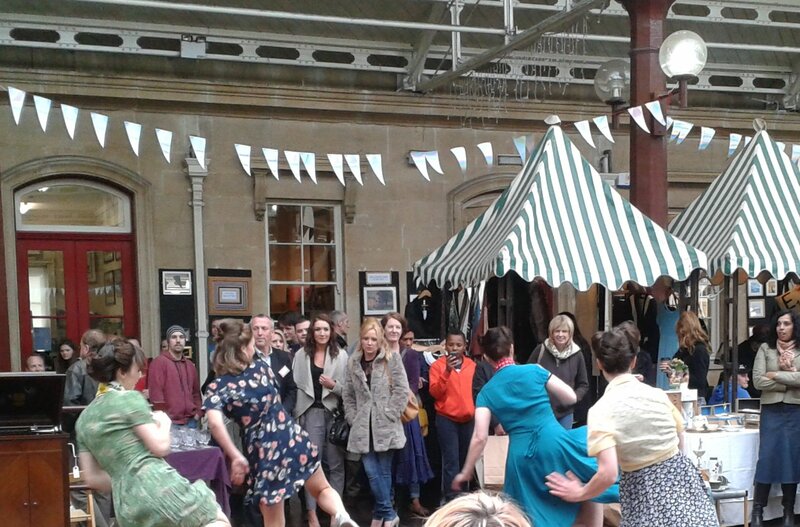 The Bath Vintage Fair at Green Park Station! 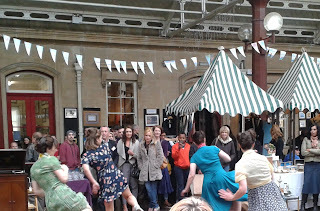 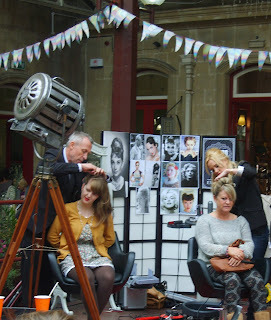 Last Sunday was The Bath Vintage Fashion Fair at Green Park Station. 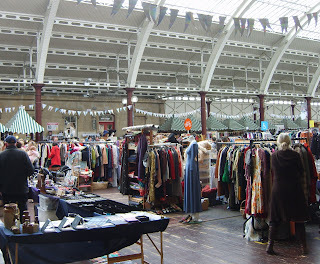 What a fantastic place for a Vintage market! 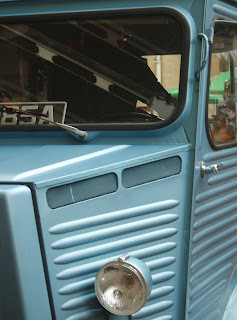 The attention to detail was superb.... A coffee shop in a camionnette and a pop-up hair dressing booth! 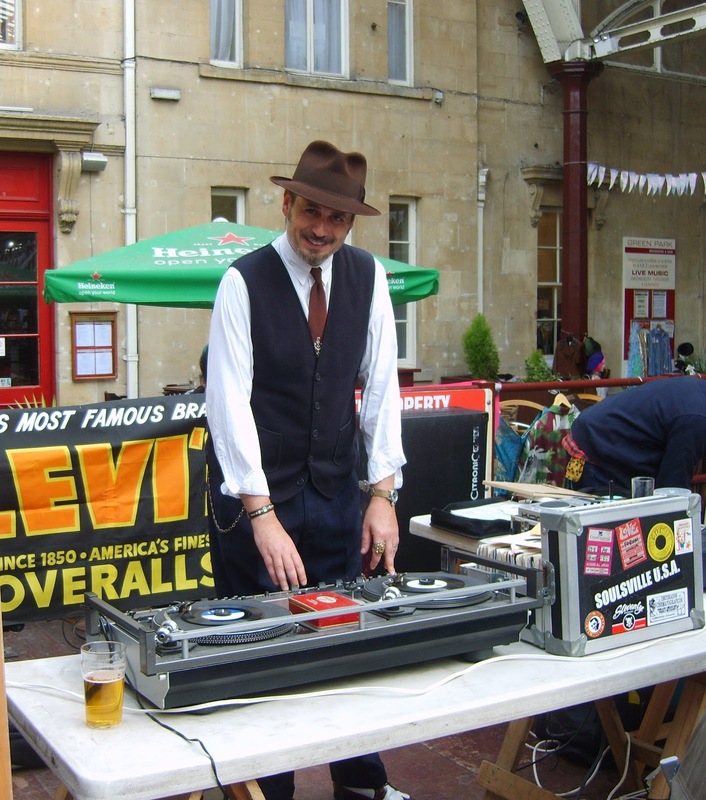 Great music all day from this lovely chap! 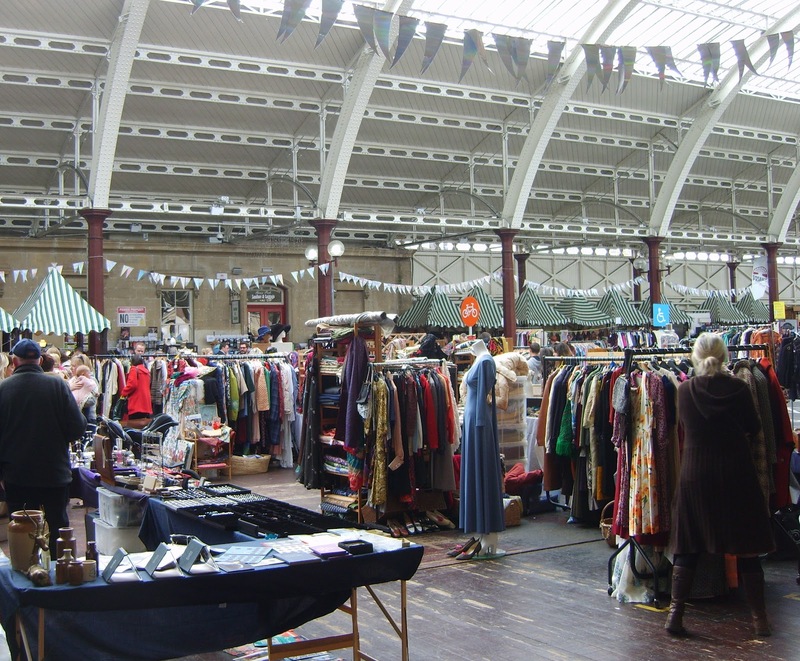 A great Vintage event and one for the 2013 Diary.... next date Sunday April 21st 2013... the day after The Vintage Bazaar in Frome. So, 2 excellent reasons to visit the West Country!!!! !